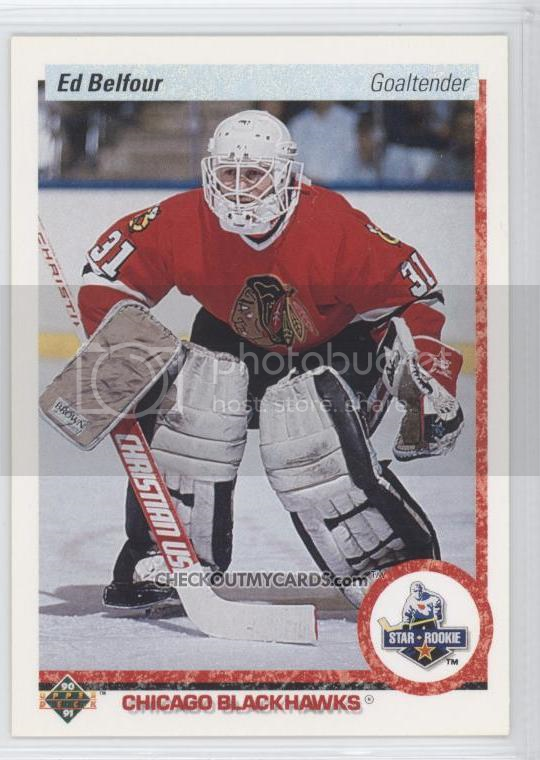 Wether playing for the Stars, Panthers, Maple Leafs, Sharks or even Leksands IF in Sweden I always remember Eddie the Eagle wearing number 20, a strange number for a keeper. 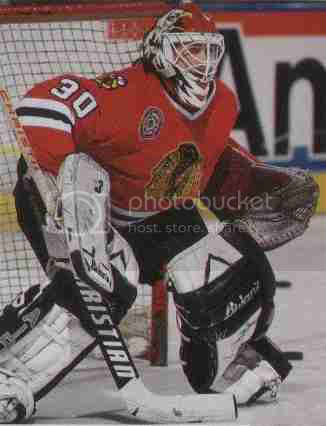 But many of you may remeber, unlike myself, when he wore #30 for the Hawks from 1990-1994. But did you also know he wore #31 in 1989? 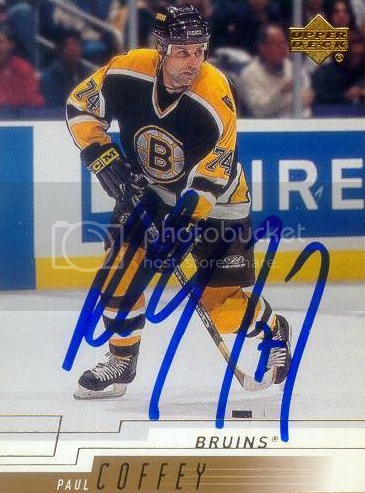 Raymond Bourque, Boston legend. 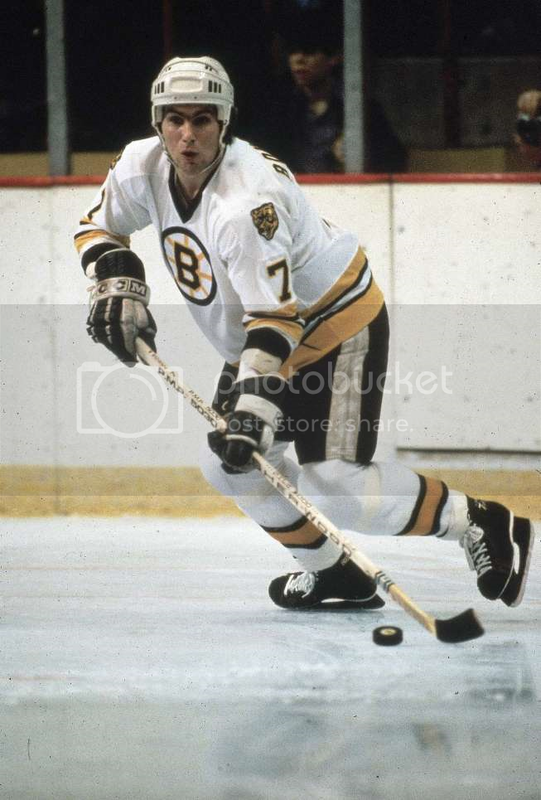 He will always be remembered wearing a #77 sweater for the Bruins, and to a lesser extent, the Avalanche. 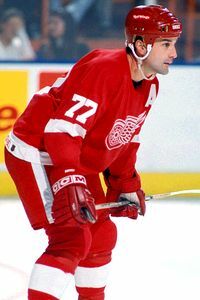 But I am not sure how many people know that he wore #7 from 1980-1988, only changing to double 7s when Phil Esposito’s #7 was retired by the Bs. Our first active player on the list. 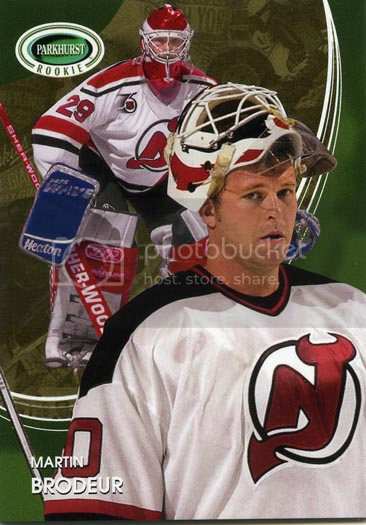 Marty has been wearing #30 since his stellar rookie year of 1993-94 when he captured the Calder and heart of yours truly. But did you know that when he first came up he wore #29 for 4 games in 1992? After his first seven seasons in Edmonton, where he wore #7, he doubled it up in Pittsburgh to #77. He wore that number in many other stops except for Boston. 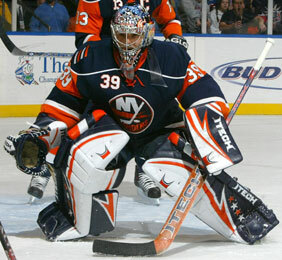 There we switched to #74 for the 2000-2001 season, which was his last. While a good keeper, he is no where near as accomplished as others on this list. I include him because everyone in the game knows how he is and that he signed a 15 year contract and is now 3 years into an injury plagued career under that contract. 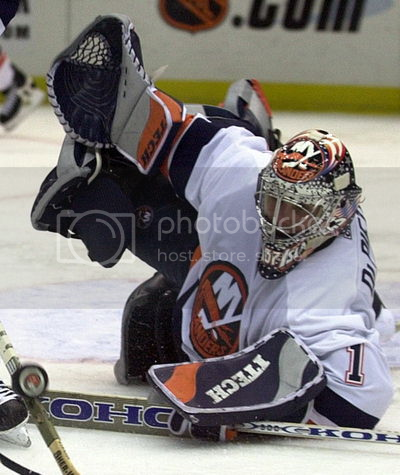 But from 2001-2003 DiPi wore #1. 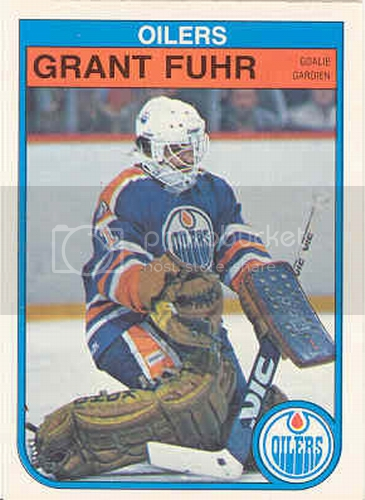 Grant Fuhr was the backbone to the Oilers dynasty in the mid 80s and had is #31 sweater retired by the Oilers. He also wore the number at other stops in his Hall of Fame career. But from 1982 to 1983 he donned #1 for Edmonton while in net. Thanks to Jerseydatabase.com for the sweaters used in the post.